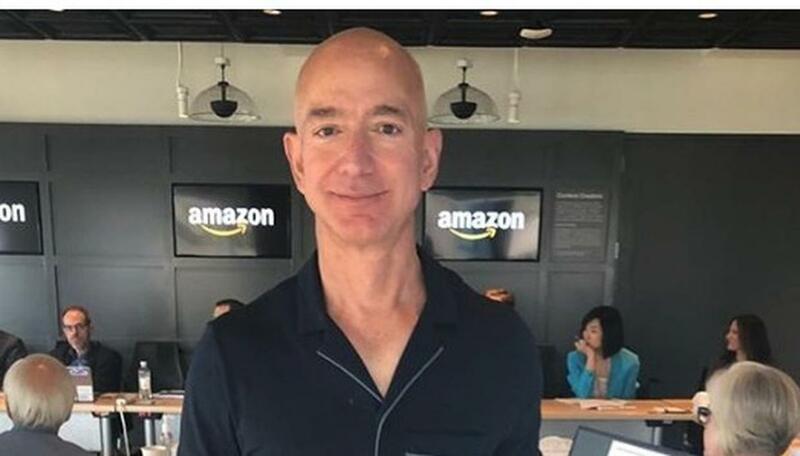 The CEO of Amazon recently wore pajamas to a board meeting. The reason Jeff bezos showed up wearing blue pajamas was to raise awareness for childhood cancer. The CEO of Amazon, Jeff Bezos, recently wore pajamas to a board meeting, making heads of many turn. But, the world's richest man seems to have a very important reason for doing so. The reason Jeff showed up to a company board meeting wearing blue pajamas was to raise awareness for childhood cancer. Taking to the photo-sharing app, Instagram, Bezos posted about cancer awareness and explained, that every year, Amazon ties up with the American Childhood Cancer Organisation in order to raise awareness for the illness which is the second leading cause of death for kids in the United States between the age of 4 to 14. He further captioned the picture as "Why am I wearing pajamas to an Amazon board meeting? September is Childhood Cancer Awareness month and each year Amazon partners with @ACCOrgto raise awareness of childhood cancer – second leading cause of death for kids in the U.S. between ages 4 and 14.". In a series of pictures shared by the CEO, he can be seen wearing a color-coordinated pajama set with a pair of bedroom slippers. He is also the only odd one out present at the table full of formally dressed people. Why am I wearing pajamas to an Amazon board meeting? September is Childhood Cancer Awareness month and each year Amazon partners with @ACCOrg to raise awareness of childhood cancer – second leading cause of death for kids in the U.S. between ages 4 and 14. Today, Amazonians across the globe show their support by wearing their pajamas to work – also known as #PJammin. Another way we’re raising awareness is through our special #GoGold boxes – you may receive one during September. Never have I been more comfortable at an Amazon board meeting! Ever since the picture has been shared on social media, it has garnered over 59,000 likes, and many have lauded the picture with their appreciative comments. As per the American Childhood Cancer Organisation, these events are held in solidarity for thousands of children who have been living in their pajamas for months, while receiving medical treatment for their illness. As a part of Childhood Cancer Awareness month, Amazon has also rolled out a specially branded Prime Air Jet, that made charitable donations to the two institutions that have been working towards better awareness of childhood cancer.